A sovereign state ought to be able to decide what its currency is, and provide enough to employ its citizenry. California does, not so Europe. In 2008, bankers told the government of the USA that ATMs and all banks would shut down immediately, if the government did not provide banks with the hundreds of billions of dollars to keep money in the banks. The government obeyed, and now the total aid to the American economy is said to be of the order of 13 trillion dollars, not far from the entire GDP of the USA. The European “welfare” states instead plunged into austerity, making sure that the value of the money of the rich would only augment, even if it meant European youth would have to immigrate to the USA to find work. The USA talks one way, through its plutocrats, and the Main Stream Media they own. The reality is often the opposite of what they depict. Although the USA criticizes Europe for being too socialist, the truth is the opposite. The fact is Europe is not socialist enough to provide its banks with money for We The People. At least, We The Greek People: from lack of liquidity, Greek banks have been closed for two weeks and counting. What kind of a sovereign is Europe? Extinguishing Greek debt is equivalent to Europe being monetary sovereign which is what regarding all Europe as one country means. Greece would not be subject to austerity, wouldn’t have large debt payments and can grow. The created money will save banks and the investors in those banks. There will be no panic. At this point many banks can be nationalized. Which nation owns what is a question to be decided. Well, I will not focus on Partha’s second point, where my perspective is different: Grexit, like Brexit, would mean a diminution of European sovereignty (thus a greater influence of other superpowers). Although Britain can take care of itself, not so for Greece, thus Grexit is, de facto, an impossibility: kick Greece out, it will still be at the door (same problem with deluded England). It’s easier to help Greece inside the EU, than outside. Moreover, Western Europe did not fight for Greece independence against the Ottomans to replace them by worse. Finally Russian methane is putting in danger Russia itself, the latest Russian numbers reveal. Solar PhotoVoltaics will make Greece energy independent: as soon as massive investments are done, existing technology allows this. More saillant is Partha’s first point. European and World (IMF) authorities decided to led bankers escape punishment. Thus hundreds of billions of bad loans from banksters to plutocrats were reimbursed by the Greek state, itself borrowing from the so-called “institutions” (EC, ECB, IMF, etc.) AS IF this were a public utility. In practice it meant reimbursing gangsters for their expenses. Thus, the behavior of authorities is tantamount to demonstrating that they have been captured by outlaw bankers. Look at the USA. 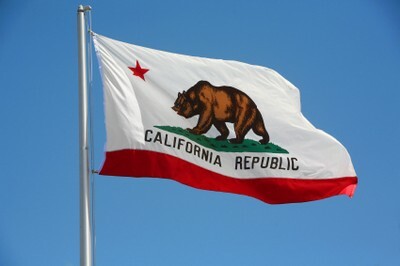 California is, by far the largest economy in the USA. The GDP of California in 2014, pulled by technology, was $2.3 trillion. The only states in the world with a higher GDP are Britain, France, Germany and Japan (in ascending order). However, a few years back, California, which was bankrupt, was paying its employees with pieces of paper called IOUs. There was some grumbling, yet, so great is the awe of California in the minds of its 40 million denizens, that the Californian economy ploughed, right along. One of the reasons of California’s superiority is that it takes six hours, by jet plane to cross the continent, where some decisions centers are. Far away. So much for deficit spending being the end all, be all. Everybody speaks of the Greek debt, but not how it originated. Everybody speaks of the Euro and Greece, but not how the German government agreed to make Greece twice richer than it really was, by deliberately converting Drachmas into Euros at twice the real rate. Surely that does not have to do with some places in Greece having the highest concentration of German luxury cars, in the world. One is never better served, than by oneself. Papandreou, a SOCIALIST Prime Minister of Greece, was asked to help clean up after Goldman-Sachs had cooked the books of Greece to underplay the amount of deficit Greece had. As if European “authorities” did not know that Goldman-Sachs had cooked the books (I could have told them; cooking and plotting, this is what Gold Men do). But the truth is dire: Goldman-Sachs (largest private contributor to Obama 2008 presidential campaign), had “captured”: European decision making. Many European decision makers were connected to Goldman-Sachs and its ilk. All of them probably hope to be in the good graces of Goldman-Sachs, and its ilk. Papandreou is from one of Greece’s top three plutocratic families. So most of the aid to “Greece” was actually an aid to private bankers, many of them, not Greek. That was accompanied by such propaganda that most Europeans think that common Greeks are “splurging” (yes Greek plutocrats, ship owners, Greek church and military are splurging… with the help of northern European banks; hopefully the Trotskyist PM Tsipras will fix that next week). Iceland did not go that route, the route of welfare for bankers: Iceland jailed its banksters. France, instead, judged and jailed a trader. Wall Street was delighted to find its own French trader to accuse, judge and condemn. So two traders, both French were accused of everything, and the City of London also found some foreign born trader to accuse. So what happened to the Peoples’ Sovereignty? It’s over: High Finance has captured not just democracy, but the mind of We The People, and is the real sovereign. At least, more so in Europe, than in California. Even though California is the America, of America. Next we will study a bit “Germans and Their Lies” (to steal Luther’s title about Jews). I am happy to report that dear Krugman is finally catching up on that subject. You want to change the world? Change the mood. Abstract: A situation similar to the one we have today developed in the Third Century of Imperial Rome. Rome’s economy had outgrown its currency. There were three solutions to the problem. One was chosen by the Tang, paper. Another by the Franks, invasion. Rome, under Diocletian, unable to grow the currency, chose the third way. Command and control of a barter economy. So, ironically, those who advocate the gold standard in the USA, such as Paul Ryan (candidate VP) are partisan of a Soviet style economy. Instead we have to make banks and financiers regurgitate the money they create just for themselves. Starting in the Third Century, Rome, the world’s largest economy, was increasingly run on the gold standard. With disastrous results. Gold Solidus: JULIAN THE PHILOSOPHER EMPEROR. A Franco-Australian collaboration on Greenland ice cores showed that from 366 BCE to after 36 CE, a period when Rome was at its peak, 70 percent of the global atmospheric lead pollution came from the Roman operated Rio Tinto mines in southwestern Spain (that can be seen from some characteristic isotopes ratio). The Rio Tinto mining region was the richest source of silver in Antiquity. Some 6.6 million tons of slag were left by Roman smelting operations there. Rio Tinto was exploited by slaves with extremely short life spans. It was a vision of hell, the sky was black, fires everywhere, to the horizon. The rio ran red, still does. The Romans worked Rio Tinto until Rio Tinto was exhausted with the technology they had (shortly after 36 CE). The mine re-opened in recent times, with powerful machines replacing slaves (and ‘Rio Tinto’ is well known to precious metal investors). The demand for silver increased dramatically after precious metal coinage was introduced in Greece around 650 BCE (although Sparta insisted to use iron for coinage: that was paper money, Fiat Currency, Spartan style). Ionian Greece, in particular Phocaea, and Lydia used Electrum, a naturally occurring alloy of gold, silver and other metals. Interestingly, judging from the Greenland ice cores, the peak of Roman mining pollution was in 79 BCE. That is nearly two centuries before the maximum of the extent of the Roman empire under Trajan (originally a Spanish general) and his successors, the Antonine emperors. 79 BCE was not the peak of the Roman economy, that was reached later. But it is about when Sulla became dictator. This is an important hint. Just when the commons ran out of coinage, greedy plutocrats monopolized worth. A co-dependency pattern repeated nowadays. The smelting of lead-bearing ore declined sharply after the fall of the Roman Empire but gradually increased during the Renaissance of the Middle Ages. By 1523 CE, the last year for the Greenland ice analysis, atmospheric lead pollution had reached nearly the same level recorded for the year 79 BCE, at the Roman peak. So what happened? Rome used three precious metals: gold, silver, and copper. The first was used to make a coin, the Aureus, renamed the Solidus under Diocletian. The Roman currency crisis of the Third Century was caused by Rome being, de facto, on the gold standard. The Romans had run out of the most precious metals to make small coins with. That left a currency too small for the growing Roman economy. Diluting the precious metal content of the coinage commoners had to use was no solution: it created obdurate inflation (while the gold solidus kept on being made and used for another 7 centuries, it was used only for big transactions). Diocletian and his colleague “solved” the crisis with a command barter economy. In other words, Diocletian invented the Soviet system. So ironically, that is what going back to the gold standard would force the economy into. Around 284 CE, the Roman economy had become too big for the amount of currency that could be created from precious metals. Emperor Diocletian solved this with a command barter economy. 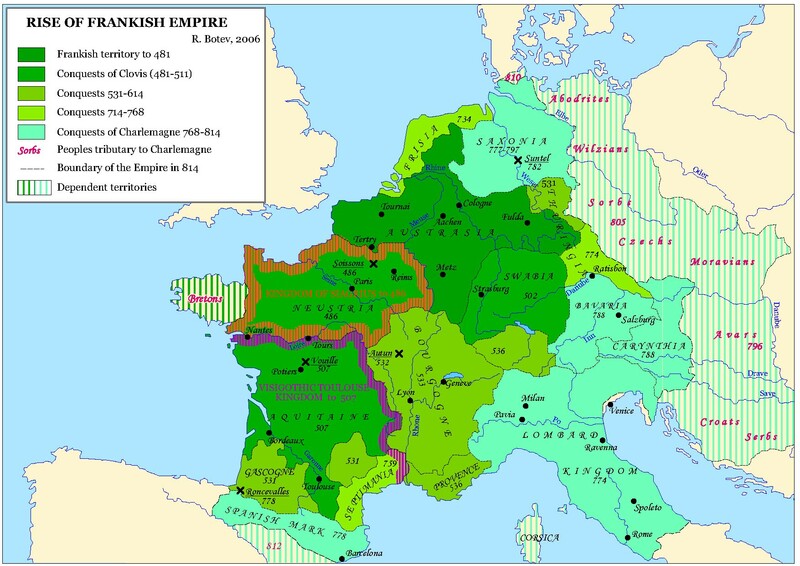 Even armies started to get paid in kind (say with food instead of coinage; that led to a de-professionalization of the army; soldiers had to marry and live with their families; the Franks under Charles Martel, four centuries later, would re-professionalize the army by getting precious metals in churches). In the Seventh Century the Tang dynasty in China solved the problem in the modern way, by creating a “fiat currency” from paper notes. (It would lead to catastrophic inflation under the Yuan, six centuries later, and a reversion to metal, when the silver from Potosi became available). In the Eight Century, the Franks solved the currency problem for their growing economy by going where the Romans had not dared to go, and seizing silver mines in Eastern Europe. For all its grand philosophy and thinking, Athens would probably not have amounted to much, if not for its silver mines. It’s actually the discovery of a new silver mine that allowed Themistocles to propose to build a 200 trireme fleet to fight off the Persians with. Thanks to her silver, Athens could buy a lot, including wheat far away, in the Black Sea region (hence the far flung Athenian empire). We are presently in a crisis similar to what struck Rome, a dearth of money for the real economy. Indeed, banks have diverted money creation away from the real economy, which is starved of investments (that is money and credit, from banks, for private industry). The situation is even worse in Europe. In the Eurozone, states are supposed to be borrowing from banks. And the banks are unwilling to lend, as they have better things to do with their money, such as investing in derivatives. The result is a dearth of Euros (relative to the size of the Eurozone economy) and an overvaluation of the euro relative to the USA Dollar. At least in the USA, the UK and Japan, central banks create as much fiat currency as needed. it’s all backed up by the mighty Pentagon, creating a virtuous, and, or vicious circle (depending upon one’s perspective). Never mind that France clung to the gold standard in the 1930s much longer than the USA, Britain and Nazi Germany, with disastrous results. This essay demonstrates something even more insidious that a country can do to its citizens: not having enough currency. And this is what is happening now. So Mr. Ryan is as wrong as wrong can be. The way out is to print more, but, using command to send money that is created to the real economy and not to the fake world of derivatives and the like (as is presently happening). A good way to start is by taxing financial transactions, just like any other transaction is taxed in the real economy. The French financial transaction tax passed in France on August 1, 2012. However banks did not fall on the heads of the French. According to The Economist, August 18, 2012, the French real estate market is still twice more overvalued than the British real estate market. In Britain, finance reigns, contributing 10% of GDP, in endless conspiracies. And the other great temple of greedy financiers who give society meaning, the USA, sees, according to The Economist, a real estate market undervalued by 20%. Thus the real estate index is at 80 in the USA, and 145, in France. Now remember that the wealth of common people is mostly in real estate. Hence a country where finance is repressed, such as France, sees much more wealth going to commoners than it does in the USA. Some are sure to come up with GDP per capita at this point, and point out that the USA GDP is larger than the French. But that means nothing: a country with more traffic jams and expensive health care and education will see a big GDP, just like somebody with dilated cardiomyopathy, will have an enormously enlarged heart. And it gets worse, because the French true ownership rate is higher than that of the USA. There is only that much wealth to go around (as the Gini Index observes). If most of the wealth goes to plutocrats, it does not go to the People, and vice versa. To come back to the situation in Rome, the increasing debasement of the Denarius, the common currency, relatively to the 80% pure gold Solidus could have been solved by introducing paper money. But that would have required a stronger state. It was, precisely, an occasion to get a stronger state. The Tang were able to organize a paper money currency, precisely because they had a strong state, with formidable sovereigns such as empress Wei. Rome did not seize the opportunity to go to paper money. instead Rome went for theocracy, and its living descendants are Putin’s Russia, and various Islam theocracies, wobbling between cretinism and civil war. And thus what the fanatics of the gold standard are proposing is actually a weaker state. It does make sense: most of the right wingers in the USA who are for the gold standard are also proposing to weaken the state. They much prefer the jungle, and its law. BANKS ARE PUBLIC, MAKE THEM TRANSPARENT! Why Are Banks Dealt With As If They Were Private? When They Are Not? An Obvious Corruption Of The Constitution? Abstract: I track the genesis of Fractional Reserve Banking, all the way down to imperial Rome (a full 14 centuries before Wikipedia has it, nota bene). Rome developed a serious money problem, a Fractional Reserve System, properly done, would have solved it. Instead Rome invented other useful institutions: central planing, feudalism, and a notional currency (a few centuries later the Song dynasty used another notional currency, paper money; Rome could afford the luxury of diluting more precious metals in copper coins). A slight problem that our contemporary plutocrats have succeeded to hide, is that the power and advantage of Fractional Reserve Banking lays in the fact that it is state controlled. The state can change the money supply, as needed. Up or down. What the Roman Principate could not do. Rome had run out of money, unlike the Fed, or now, the ECB. In this enormous power, notional currency, that is, fractional reserve, great opportunity, but also the risk of enormous corruption. China, which did not have enough silver and gold, used copper and paper currency. That led, after centuries, to a terrible inflation that destroyed the value of money (contributing to the fall of the Yuan dynasty). China soon became dependent upon Spanish provided South American silver. Thus it is no wonder that Big Banking has turned into organized crime, thanks to Fractional Reserve banking. Corrupting the state through money fabrication gifted to friends, is a not a new crime, as cybercrime is. But its extent is new (by the way, early American presidents feared this, and took strong measures against it; president Jackson, not a shrinking violet, called it its “proudest achievement“, on his deathbed). Nor is that crime unlawful as two of my smart interlocutors have pointed out. When a plutocratically minded Principate rises, it is careful to change the laws to suit its evil ends. A principate we have. Each time American media celebrates the “first lady” and “first family”, they celebrate the first man in Rome, the Princeps (as one says in Latin). Then Obama sends the first daughter to Mexico with a private army. At this point he implicitly tells the banksters: “I am one of yours! We are first! We own the world! welcome me in your arms! I need money!” It may not be conscious, but it is deliberate, at the subconscious level. Otherwise, why the outrage, when Angela Merkel herself flies not just in a common airline, but a low cost one? The politicians, who have been in cahoots with the financiers, have been unwilling to turn against their accomplices (politicians get instantaneously punished, at least in financing: Obama, having raised his voice a bit against the financial conspiracy is running at 25% of the funding he got at the same point in 2008, when the banks thought he was in their pocket). So, what to do? Very simple, having exposed the problem, one can actually roll out a solution. Democracy has to be transparent. Taxes are transparent, at least to the state. There is a reason to hide taxes from the public eye: income is a private matter, and so is spending… As long as they involve only private money. However, if they involve credit, it is another matter entirely. Credit is the extension to private entities of public money. I will indeed argue that credit, when it involves banks enjoying the Fractional Reserve System, is actually PEOPLE money. To keep CREDIT FROM THE PEOPLE clean and ethical, make that spending of PEOPLE money, public and transparent. If not, it’s civilization itself, that will keep on going down the drain. They are different notions. The Islamist civilization evolved a very complex financial system, with most of the characteristics of Western banking… But without charging interest. What’s a bank? Originally, it was an organization B that pooled otherwise unused capital, and then gave said capital to some other entity C that could make use of it. The capital was lent, and that means, that it was reimbursed slowly, according to the creditor C’s capability. One may wonder why bank B would lend money. For doing so, interest was invented. However, after a few generations of free interest rates, the Roman republic observed that interest made the rich richer. Interest was restricted to 10%, then 5%, and finally outlawed interest in 342 BCE (that’s not long after the writing of the Bible’s Old Testament, although at the time Rome knew nothing of the Jews). By contrast, the European Union has allowed recently money changers charge states of the Union interest over 30%. Abrahamist faith declared that banks would lend to co-religionists out of the goodness of their heart. Lending money to heathens and miscreants could be done against interest, a supplementary payment or tax, well in line with scripture. Scripture mercifully envisioned the survival of miscreants, as long as they paid interest. Thus banks, complete with lending against interest, could exist. They were obviously private enterprises. So far, so good. Then something happened that even the perverse writers of the Bible and Qur’an had not anticipated, even though, their delirium, they generally get all the angles covered. The Fractional Reserve System was created. The preceding link, to Wikipedia, does not go in the mathematical details. I have already explained in Fractional Reserve Gouging, and many other essays, that Fractional Reserve Banking (FRB) is intrinsically unjust, and an engine for constructing neo-feudalism. American Wikipedia, as a faithful servant of New York finance, starts the history of Fractional Reserve Banking, FRB, with the Dutch: New York started as New Amsterdam, and the Netherlands, having been created by… France (to a great extent), then conquered England (! ), inventing the highly leverage finance tied into the state that we observe now in the USA. Immediately after inventing astronomical leverage, the hyperactive Netherlands turned against its creator, mightily arrogant France, the greatest land power… That is why highly leveraged finance had been invented, to start with: to give the Dutch armies power much beyond the tiny size of the Netherlands. That financial power went into an enormous Navy, soon duplicated in England, and the Bank Of England was created to finance it! In truth it did not dawn on Wikipedia that FBR was a solution to a problem that was in full evidence in imperial Rome. Naturally enough, the solution was found in the Italian republics, a millennium after Rome only partly solved its financial quandary. To fully understand FRB, one has to go back to the Third Century of imperial Rome, the Third century of the Principate, which started with the Libyan Septimus Severus, imperator of the Illyricum armies (“Balkans”), sending back the Praetorian Guard to its barracks, and becoming Princeps in its stead. So it started well, but it ended with catastrophe: constant coups, “barrack emperors”, a massive plague killing much of the population… And a collapse of the financial system. There was basically not enough currency for the empire’s growing economy. That was caused by a lack of precious metals. Rome used a three tiered system; copper, silver, gold (China had mostly only copper, making the currency impossible). Rome ran out of silver and gold. Five centuries later, the Franks got the precious metals, lots of silver, in newly conquered Eastern Europe, to feed their free market. 1) by creating a notional currency with a fictional relationship to the gold currency they kept on using (the latter was to stay in use in the Imperium Francorum/Romanum through the Middle Ages until 1,000 CE). 2) by setting up a government regulated barter system. That was a further step in the instauration of feudalism. By the way, such a system is basically in force between the West and the feudal lords of the Middle East, as many an enraged Muslim fundamentalist will tell you, while foaming at the mouth). While doing this, the organization of the empire switched from the Principate to the Dominate (although I give references to Wikipedia, that does not mean I agree with all what’s there; it’s just a rough, and raw idea of the referred notion. In particular that article evoked that the “Western empire formally collapsed in 476 CE” is simply, and formally, false). The switch to the Dominate corresponded, to some extend to the switch towards a command and control economy (paradoxically, there is no contradiction between the growth of command and control and the growth of plutocracy; plutocracy crowded out the free market, as did the dwindling technological options, due to the faltering of timely technological progress). 3) Banking appeared fully, in an addition to the Roman system (1) money backed by the armed force of the government and 2) mandated state enterprises, above). The Italian republic created government bonds (to pay the armies), and Fractional Reserve Banking. Paper notes representing the precious minerals in the vaults of banks, were themselves traded. It was soon realized that this was identical to the main Roman monetary system of notional currency, and, that, just as in Rome more of these notes could be traded than the precious minerals they represented. So, instead of using fake precious coins as Rome did, the Middle Ages switched to promissory notes, paper money, and the like. Before soon, the governments, whose armies protected the bank vaults, came to use those notes as currency. From the preceding, it is hopefully clear that banks, even private banks are actually STATE enterprises. All they have that is private is who manage and exploit them. But they are on a mandate from the state to create credit, that is, money. In 2008, the “Fed” would lend 50 billion dollar to Lehman Brothers in the morning. Every morning. The three top guys at Lehman walked away with 5 billion dollars between them, or so. The money was never recovered, nor do the fat cats want us to think of it this way. Your money is their money, end of the story. Thus I believe that, as banks are actually public enterprises, they ought to be people controlled, instead of being milked by a few individuals who golf with the political chiefs. Instead of having bankers buy politicians, we should have the people, checking them both, under scrupulous laws. How to do this? Make all and any bank transaction public, and pass laws to insure that any extension of credit from any bank is economically justified. Moreover use the Internet to publish the whole thing, so that everybody can have a look, check, and report to the government, if they spot any deviation between the official reasoning to support some investment, and the reality of what is going on. (yes, in capital letters). It does not start with: we the politicians, we the bankers, we the plutocrats, we the conspirators of the United States of America, we the republicans, we the fat cats of America, we the free marketers (not to be confused with the three musketeers). The French Constitution starts with “LIBERTY EQUALITY FRATERNITY”, not “Slavery Inequality Inequity”. Actually the Article Two of the French Constitution says the French government is “par le Peuple, pour le Peuple“. It is not a government by the bankers, for the bankers. The bankers reply that they are somehow uniquely qualified, but their only apparent qualification is the greatest misallocation of capital, ever. And the fact they stayed out of jail or the scaffolds, while doing so, is also unique in history. All other constitutions are a mix of the French or American ones, that is why fixing France and the USA is key. (Britannia does not know how to write, apparently, so it is hard to know what it is about, and that is why nations around the globe have inspired themselves from the French and American idea, from 1789, to sit down, and write a constitution). “It is not organized crime. It is not even disorganized crime. From above, one can see that Congress has strayed from the Constitution. The Constitution is about a “PEOPLE” regime. Unfortunately, when the Constitution of the USA was written, it was not thought to create a Constitutional Court. France has one, so now does Germany. Both courts have come out with interesting decisions the Supreme Court of the USA (SCOTUS) could never have come up with. SCOTUS has traditionally adopted a small role of pseudo Constitutional Court, but was unable to stop the multi-generational march to the American Civil War. That war was absolutely devastating. Scholars have revisited the number of dead. Upwards. But new research shows that the numbers were far too low. By combing through newly digitized census data from the 19th century, J. David Hacker, a demographic historian from Binghamton University in New York, has recalculated the death toll and increased it by more than 20 percent — to 750,000. Well, it ought to have been a devastating lesson. What was the lesson? That, when one let festers an unconstitutional situation, an infection of civilization by infamy, gangrene sets in. However, the leaders of the USA, did not learn their lesson. When American plutocrats ran away with Hitler, Stalin and company, even president Franklin D. Roosevelt did not pay attention to the problem that “We The PEOPLE” was threatened with. Companies such as IBM or Ford were allowed to collaborate with the Nazis throughout the war. That means they did not just kill European Jews, French, and the like, but also American GIs, and bomber crews. IBM had the monopoly of computing all over the Reich. That meant that the backbone of any serious organization in Hitlerland, from trains to directing fighters towards Allied aircraft, was Made In America. What we are confronting now is exactly the same syndrome: banking is grossly violating the spirit of the Constitution, and the political leadership is out there, golfing with the miscreants. Banking needs to be completely changed. Banking needs to made democratic. It was done with the military, it can be done for the money changers. Better a look within the machine that fabricates money, rather than letting the crooks have it. Better a look than a crook. Yes, banking is devouring civilization. The capability of finding Earth like planets exists. Now. It is just a matter of placing in space a football sized telescope, and making a spectral analysis of small planets. Seeing a lot of methane would be an indicator of life. Seeing oxygen would prove photosynthesis is going on. NASA and ESA had two such space telescopes, ready to go. NASA had its Terrestrial Planet Finder. Europe had its Darwin telescope. But the money was cut off. Why? Bankers. Not only they steal us, and they make us stupid, but they are making us blind. And they want us NOT to think of the grander poetry of another Earth. If we are too elevated, we may find them too base. One has also to understand we have only one chance at advanced civilization. This is it. The technological tricks we have been using have depended on accessible oil, gas, and coal, for energy, and accessible metals, thanks to all that accessible energy. When Rome could not access metals anymore, because they were too deep, and Rome did not have enough energy to get to them, it was a disaster. Roman armies could not build the weapons they needed, from lack of metals. Ultimately, around 660 CE, the Roman emperor decided to strip the metal from all the roofs of Rome, to get the metal needed to fight the Muslims. He went to Rome to oversee the operation. Our situation would be worse: Rome depended on burning wood. we came to depend upon burning fossils. If the fossils are too deep, or hard to get to, or have been exhausted, we cannot wait for them to regrow. Forests can regrow, not fossils. We have to use that opportunity we have now, to access higher magic (advanced forms of solar and nuclear energy, including fusion; maybe unanticipated forms such as vacuum energy, plus designing materials atom by atom). If we do not, the world economy will hit dwindling resources. That could be as early as 2016. The solution that will then impose itself will be war, and unimaginable forms of exploitation. Think Genghis Khan, with the caveat that Genghis was acting out of a mix of indignation, vengeance, opportunity, and the necessity to keep the 200,000 men Mongol army on a mission. Genghis Khan was not acting out of despair, because he was a cornered rat. Still, he caused terrible wars. Now we have states, such as Israel, that reason like cornered rats, and fidget with their nuclear weapons, while mumbling about annihilation. Not a good symptom (as Gunter Grass rudely remarked). In a way, we are threatened to all turn into cornered rats. If we let the bankers eat all the cheese, we sure will.